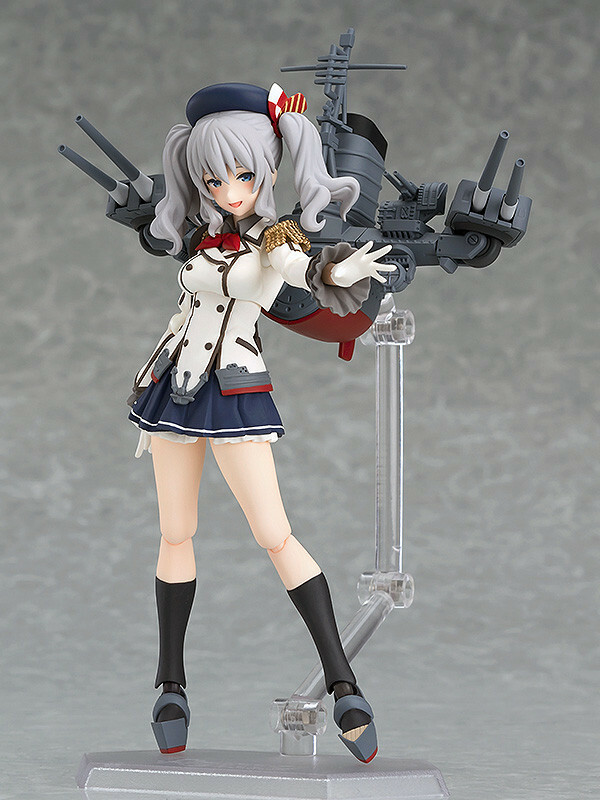 From the popular browser game 'Kantai Collection -KanColle-' comes a figma of the training cruiser, Kashima! 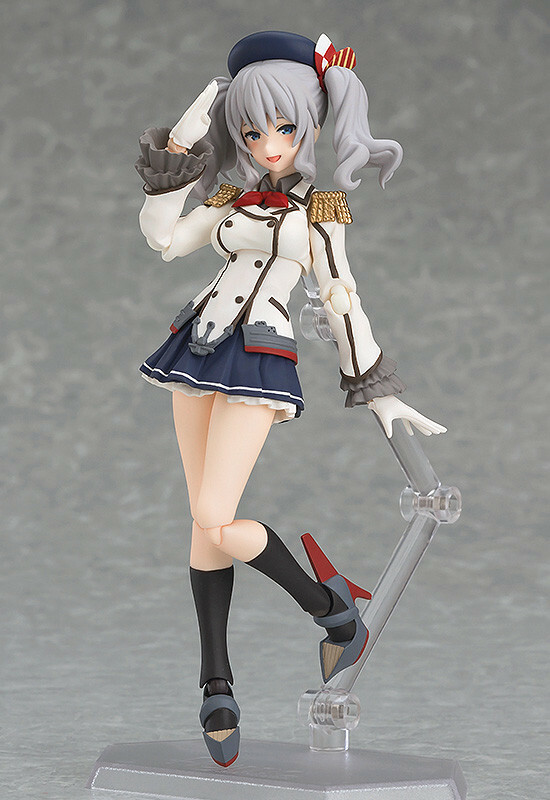 She comes with three face plates including a gentle smile, a flirtatious smile and the blushing expression from her half-damaged pose. 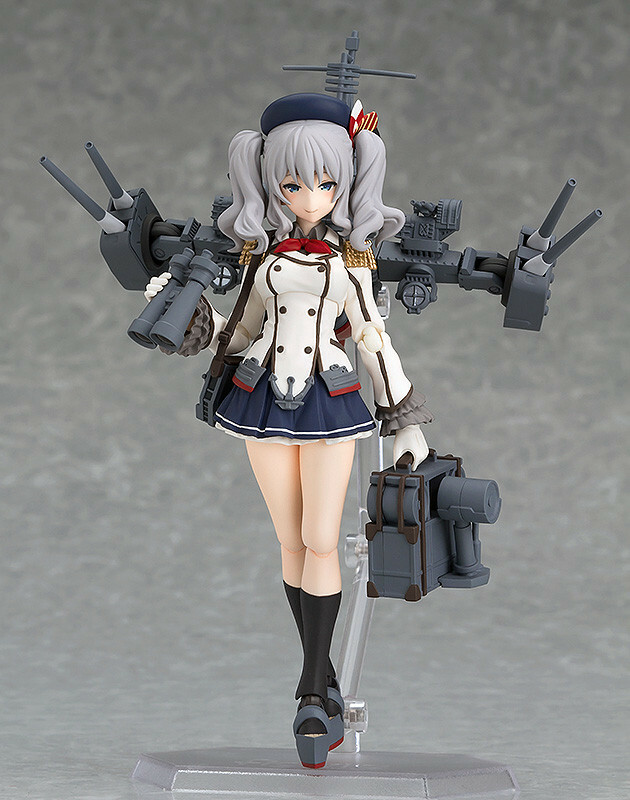 The unique shoulder bag, hand-held bag as well as her binoculars are all included as optional parts. 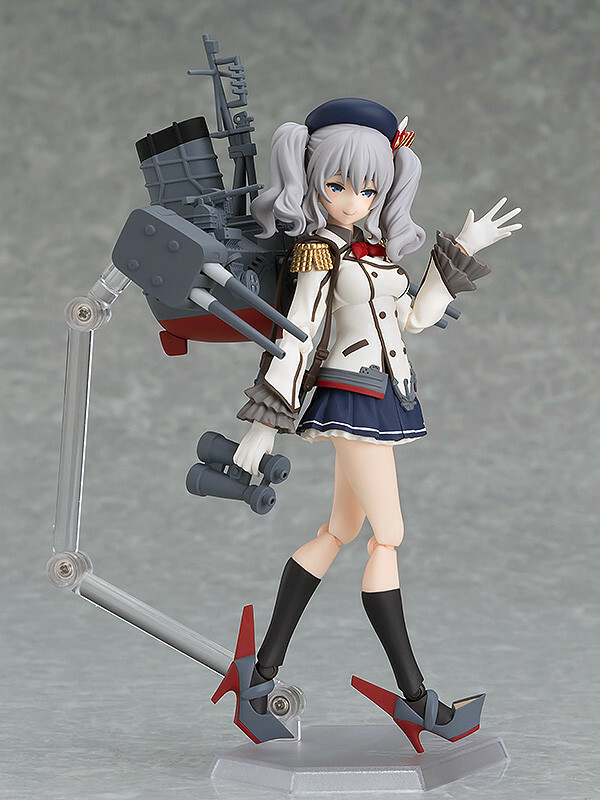 The ship parts on her back can easily be attached and removed for different poses. 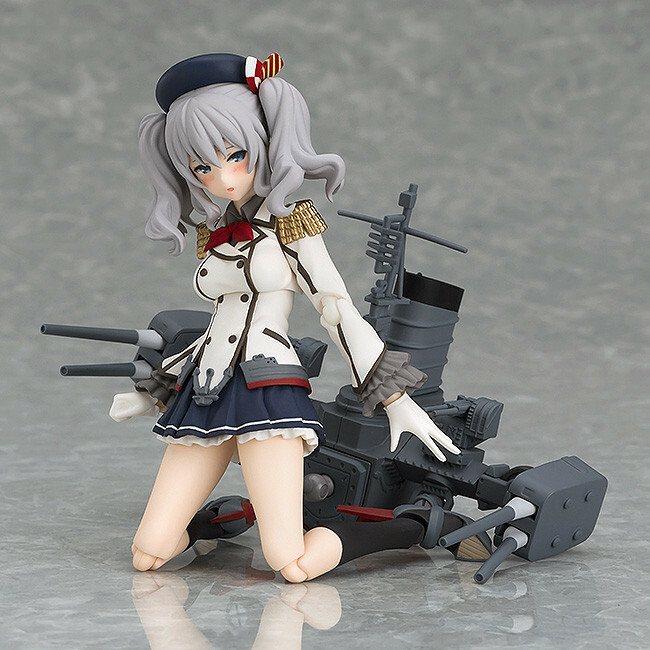 Preorders will be open from 8th September 2016 (Thu) from 12:00JST until 5th October 2016 (Wed) at 21:00JST. 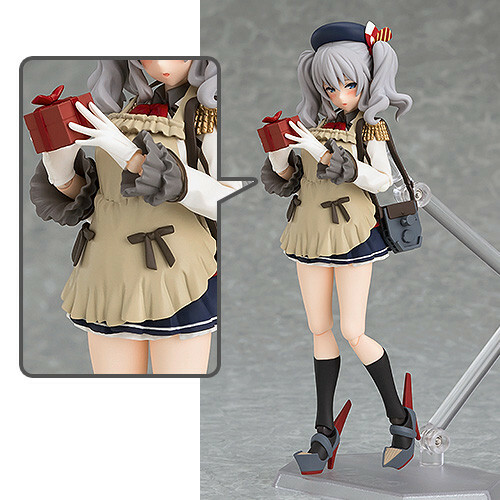 Preorders of figma Kashima from the GOOD SMILE ONLINE SHOP will include an Apron and Box of Chocolates as a bonus!